Alliance - When Dwarves first migrated to Beleriand, they came in contact with the Elves who had been living there for some time. After a period of adjustment, the two races became amicable. 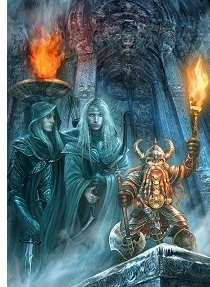 When Morgoth returned to Angband and tried to take Beleriand, the Dwarves joined the Elves.